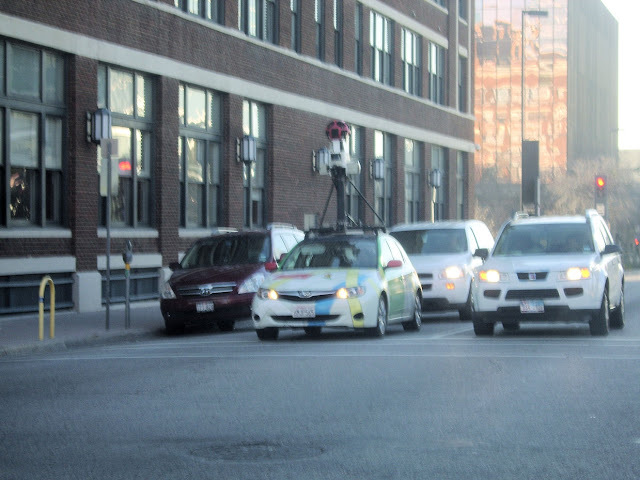 This isn't the best picture, but its a Google maps car. I'm guessing that's a camera mounted to the top of the car. Maybe used for street view. I haven't been able to run in a week because of the court schedule, but today I am still going to run the Too Coll to Hold 15K.